iStock is having a 24 hour sale today. Use the following iStock coupon code to save on great stock photos for today! 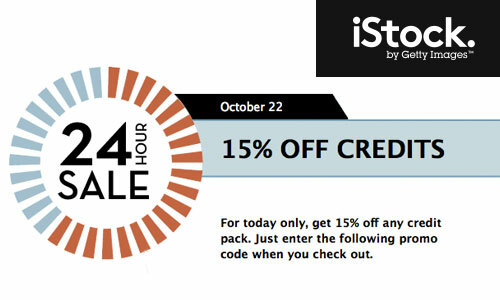 Get Instant 15% OFF on istockphoto credits. Only for 22 Oct 2013.